Björn here hosting Poetics. I have been thinking about words that inspire me when it suddenly hit me. Today I wish you to use the name of poisonous plants in your poetry. For me there is a poetic beauty such lethal names as nightshade, belladonna, wolfsbane, foxglove and hemlock. Among poisonous plants are also the famous plants we use for drugs: poppy, hemp and tobacco. The list is long, and the same plants also comes in many names. Through the years there has been magic in those poisonous plants. Many have medicinal or narcotic purposes while other have been used for executions. 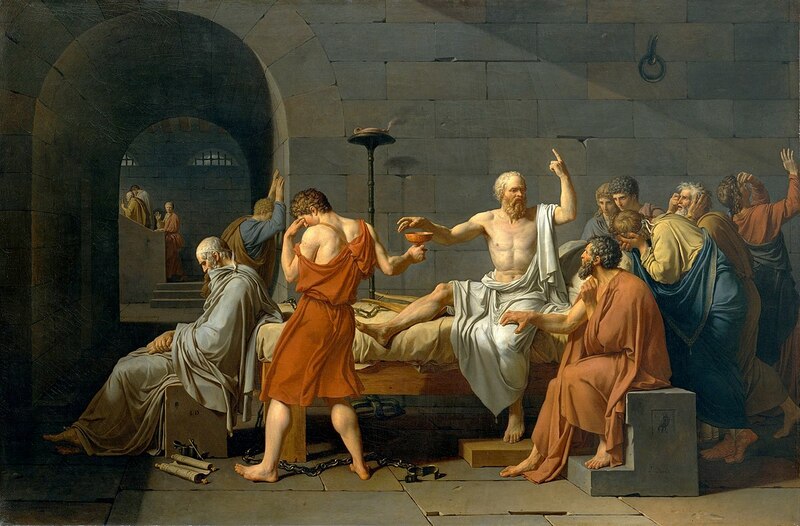 For instance it is always said that Socrates had to empty a goblet of poison hemlock and opium. But poisonous plants have also more benign usages: for instance foxglove has been used as a heart medicine and belladonna gets his name because of its usage to dilate pupils making the eyes deeper and more beautiful. The prompt is totally free but you have to include at least one poisonous plant. If you feel to use the name of the poisonous ingredient that’s fine as well. So brew me potions, stew me roots. Today we bring poison to the bar. Or if you rather, bring me the beauty or the good in these plants. Or you can use the flower and its poison as a metaphor. As an inspiration I give you Charles Baudelaire from Flowers of Evil (Fleurs du mal) — note the reference to Socrates in the last stanza. The moldy sweetness of my defunct love. I wish to sleep! to sleep rather than live! Your lovely body polished like copper. And Lethe flows in your kisses. Whose fervor aggravates the punishment. That have never guarded a heart. Do I need to say that this is one of the poem censored in the original version of Fleur du Mal? So when you have written your poem post it and link up below then enjoy the poems of others. Please leave a comment below and enjoy the discussions. Good evening, Bjorn! Something bright blue and exciting to drink for me, please. I’m about to post and link and then I’#ll be back in about an hour to read. See you later! Good evening, Bjorn! Thanks for hosting. I am still working on mine. Hopefully it will be ready by tomorrow or for open link night. You’re right, my last response poem to John Donne would have fit right in tonight, but decided to eat a mushroom instead. As for the bar, I’m in the mood for a damiana-infused liqueur, on the rocks. That sounds like a perfect thing to serve… be careful with it, it’s hot even on the rocks. This is such a rad prompt. I hope there are a bazillion responses. I think there is so much to find when you go out and read… the poem by Buadelaire was inspiring. I’m reading. But the kids are home, so I’m working my way through, slowly but surely. It is a translation, the French is probably better. I’ll ask my daughter. She’s the language master (mistress?) around here. What? I have to pick my poison?!? Don’t make me choose! This was too fun to pass up. Great prompt, Björn! Thank you Barry… good to give an inspiration… and any poison even tobacco is allowed. Well, I decided to give it a try. Great prompt Bjorn! What a fun challenge this one turned out to be. Brought back many memories of childhood and Poison Ivy itching me.